When you think of A-listers, wealth is one of the first things that comes to mind, somewhere between talent and fame. Although it's easy to fantasize about $20 million movie paychecks, $500 million net worths and a life of luxury, celebrity-level visibility to the public also makes for celebrity-level visibility to scammers and con artists. And when celebs get scammed, one thing's for sure: Those A-list-sized bank accounts mean that the monetary losses are often of an epic scale. Click through see which celebrities got taken for a ride by these famous scams. 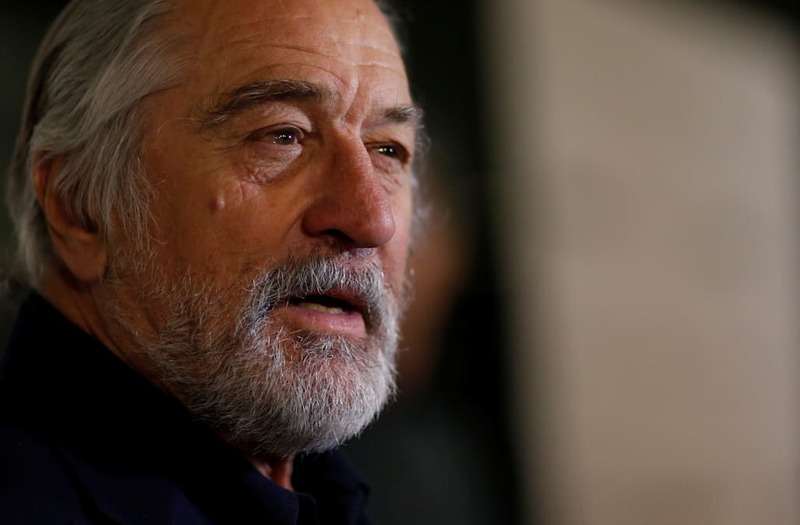 Robert De Niro doesn't just make art onscreen; he's a child of the arts, too. Sadly, shady art dealer Lawrence Salander went behind De Niro's back to sell a collection of paintings created by the actor's late father. De Niro lost over $1 million on the deal, but Salander's artful scam bled other A-listers — including tennis champ John McEnroe — for $5 million total. Salander was sentenced in 2010 to six to 18 years in prison, according to The New York Times. A-listers are people, too, and that means they're vulnerable to getting hurt by those closest to them. In 2008, Anne Hathaway's ex-boyfriend, an "entrepreneur" named Raffaello Follieri, pleaded guilty to misappropriating a minimum of $2.4 million worth of investors' money, including funds from the "Interstellar" actress. Follieri's racket was a particularly slimy one — he posed as a Vatican official and promised investors Italian property owned by the Roman Catholic Church. If you're a rookie investor, here's how to spot an investment scam. It's no secret that Liv Tyler has beautiful skin, but in 2010, the price she paid for it might not have been worth it. Alongside stars like Jennifer Aniston, Melanie Griffith and (again) Anne Hathaway, Hollywood beauty consultant Maria Gabriela Perez spent over $280,000 of money that wasn't hers after she got a hold of her A-list clients' credit card info, the Telegraph reported. Tyler was reportedly hit the hardest when Perez racked up $214,000 on two of her American Express cards. She pleaded guilty to access device fraud and was sentenced to house arrest and probation, the Beverly Hills Courier reported. If you think you're a victim of credit card fraud, here's how to report it. Billy Joel's 1989 case is more than enough to supply him with a lifetime of sad piano songs. That year, Joel filed suit against his former manager, Frank Weber, for diverting $30 million of his money. He also sued for $60 million in punitive damages, bringing the total up to $90 million. In today's cash, that total is equivalent to a staggering $194 million. To make matters worse, Weber was also Joel's ex-brother-in-law, a former close friend and godfather to his daughter, People magazine reported. Tiger Woods has had his shares of scandals. But here's one that wasn't his fault. His story is also a good reminder that you should know the signs of identity theft. Anthony Lemar Taylor falsely obtained a driver's license with Woods' name, birth date and Social Security number. Then, the identity thief used it to bill a car, 70-inch TV and some stereos to the real Tiger. All told, Taylor spent $17,000 worth of Woods' money between 1998 and 1999. In 2001, he was sentenced to 200 years in prison for the crime, the Associated Press reported. Canadian songstress Alanis Morissette's ongoing legal battle with business manager Jonathan Schwartz finally came to a close in January 2017, when Schwartz admitted to swindling $4.8 million from Morissette and over $2 million from other artists, according to the BBC. For transferring Morissette's money straight to his own account, Schwartz was sentenced to six years in jail, Rolling Stone reported. He really oughta know better. Nowadays, Sting is playing high-profile weddings for multimillion-dollar paychecks, making cameo appearances in "Zoolander 2" and selling off his Henri Matisse artwork to fund his empire, according to the Daily Mail. But his financial woes go way back. In 1995, the former Police frontman's financial advisor of 15 years, Keith Moore, was sentenced to six years in jail. He funneled 6 million pounds — the equivalent of about $7.8 million today — into his pockets via phony "investments," ranging from Indian restaurant chains in Australia to eco-friendly gearboxes, Reuters reported. If you're thinking about hiring a financial advisor, follow these steps to find a trustworthy professional. Unfortunately for celebrities, A-list scam artists are nothing new. Back in 1987, Charles Agee Atkins was convicted of leading Sidney Poitier, Andy Warhol and others into a bogus tax shelter scheme. At the time, the scandal was the largest tax fraud case in American history, generating more than $1 billion in fictitious losses, the Los Angeles Times reported. In today's money, that's about $2.15 billion. To avoid a similar scam, learn about the legal tax shelters that can protect your money. You probably don't think of Kiefer Sutherland as a cattle salesman, but that's exactly what the "24" star was aiming for in 2007. Turns out that the $869,000 he invested in the cattle industry directly benefited steer roper Michael Wayne Carr's checking account instead of going toward beefy business opportunities. As California's Deputy District Attorney Stephen Maier told ABC News at the time, "There was no money and no cattle." There's something particularly shameful about scam artists that strike from within your own family, but it's a situation that happens all too often in the celebrity world. Between the early and late 1990s, Dane Cook's half-brother and sister-in-law weren't just managing his comedy business, they were skimming a cool $12 million off the top for themselves. In 2010, CNN reported that the duplicitous duo pleaded guilty to charges, including larceny, embezzlement and forgery, before being ordered to pay the money back and getting treated to some time in prison. It's time for some fun facts about '90s boy bands. Did you know that a single manager, Lou Pearlman, managed Backstreet Boys, 'N Sync and O-Town, among others? And did you know that he was also Art Garfunkel's cousin? More importantly, did you know that he siphoned $300 million from clients and investors in a long-running Ponzi scheme? Pearlman died in 2016 while serving a 25-year prison sentence. He earned that penance after most of the groups he managed sued him in federal court for fraud and misrepresentation, claiming that the majority of their rightful profits somehow ended up in Pearlman's pockets, Rolling Stone reported. In the late '90s, Todd Michael Volpe was known as an art dealer to the cream of Hollywood's crop. Volpe had ambitions of breaking into the movie scene and dreamed of winning an Academy Award, but he broke into Taft Correctional Institution for a 28-month sentence. Clients and victims of Volpe's famous scam, including Barbra Streisand, "Jurassic Park" producers and members of KISS, lost $1.9 million to Volpe, The New York Times reported. But Jack Nicholson was also hit hard. Of the $600,000 investment Nicholson gave to Volpe, it's unclear how much the legendary actor lost on shady dealings. By 1998, LeAnn Rimes' "Blue" had sold 6 million copies. That same year, however, the young country star and her mother went to court to sue Wilbur C. Rimes — LeAnn's father and former co-manager — for skimming over $7 million off her earnings, People magazine reported. The country song-worthy family drama had a fairly happy ending, though. By 2001, the legal battles were settled just a few days before her wedding to backup dancer Dean Sheremet. Wilbur attended the ceremony and even shared a father-daughter dance with Rimes. Here's a terribly immoral but apparently effective way to make a lot of short-term money before spending the rest of your life in prison: Become a "financial advisor" to A-listers and carry out an investment scam. In a story that sounds all too familiar, Dana Giacchetto served as a stockbroker to the stars throughout the 1990s, stealing money from numerous A-list clients before serving time in prison. Among those scammed, Courteney Cox lost $500,000, Ben Stiller $250,000 and Tobey Maguire $150,000. English "Deal or No Deal" host Noel Edmonds might just hold the record for the single unluckiest celebrity scam victim of all time. In May 2017, Edmonds demanded 73 million pounds from Lloyds Banking Group and its HBOS Reading branch, which carried out a years-long scheme that sapped mostly small businesses of around 245 million pounds and landed six employees in jail, the Guardian reported. The scam led to the collapse of Edmonds' own entertainment business, Unique Group, but he also claimed massive losses for potentially missed speaking fees, emotional damage and legal fees. In July, Edmonds increased his compensation claim to 300 million pounds — that's about $395 million. Bernie Madoff wasn't just the king of celebrity scams — his scheme was so epic The Economist called it the "con of the century." Madoff confessed that his fraudulent deeds topped $50 billion, and clients of his money management firm admitted to exposures that accounted for at least half of that. He pulled off the biggest fraudulent scheme in American history by relying on the time-tested Ponzi structure: using money from new investors to pay off the returns he promised to existing investors. Among the laundry list of non-celebrity victims were plenty of famous A-listers, including Steven Spielberg, author Elie Wiesel, baseball player Sandy Koufax, Kevin Bacon, Kyra Sedgwick, John Malkovich and Zsa Zsa Gabor. In June 2009, Madoff was sentenced to 150 years in prison. In 2010, New York "financial advisor" Kenneth Starr was arrested for diverting $30 million of his clients' money, netting himself a Manhattan condo with a 1,500-square-foot garden and an indoor swimming pool. Thirty mil is, of course, no small change, but the number makes much more sense when you consider Starr's celebrity victims. The list of scammed celebrities includes Sylvester Stallone, Wesley Snipes, Al Pacino, Neil Simon, Martin Scorsese, David Blaine and Uma Thurman, among others. He was sentenced to 7½ years in prison, according to The New York Times. Choosing a criminal to handle your finances is definitely one of the top investing mistakes you can make.